How can a 2 player game work in the classroom? A key challenge in using Labyrinth in the classroom is that it is a two player game. Engaging students two at a time is hardly time-effective. Conversely, given the need to facilitate, there is no way a single instructor or teaching assistant could manage with ten or twenty games going at once. We tried things with seven players, four of them playing the US team and three playing the jihadists. On each side, each team member in turn would have control over a two card action phase sequence, although they were perfectly free to discuss and agree upon game play strategies jointly. As I suspected, four is a little too unwieldy—the interpersonal dynamics hamper card play, not to mention the physical problem of all four players viewing the current hand. Three worked very well. It generated some good discussion, participants stayed engaged, and it was reasonably efficient. What inefficiencies did arise provided an interesting lesson the potential problems of bureaucratic politics or jihadist factionalization, and the importance of cooperation and planning. Indeed, after the game a number of participants liked the idea of assigning some role differentiation to team members in a future version, to further highlight these aspects. The US team, for example, might be divided between a State Department/USAID player (perhaps given the power to reroll one failed “War of Ideas” die roll during their own action phase), a US military player (able to add a free operations point to any one “Disrupt” operation involving troops during their own action phase), and law enforcement player (able to add a free operations point to a single “Alert” operation within the US or Europe during their own action phase). On the jihadist side, the team might be divided into al-Qa’ida central (perhaps able to reroll one failed plot roll anywhere during their own action phase), and local jihadists in the Middle East/Africa and South/Southeast Asia (able to reroll one failed non-plot roll anywhere during their own action phase, but only in Muslim countries in their respective regions). Alternatively, one could also give the various jihadist players overlapping but slightly different victory conditions. We also had an eighth participant taking notes through the game, in this case not a student but rather fellow gamer (and game designer) Tommy Fisher. In a true classroom setting one could easily have a couple of student note-takers per game, charged not only with recording the game but also recording their impressions of how the game models reality, and where it differs (and why). In my experience Labyrinth is sufficiently engaging that even non-phasing players and note-takers stay engaged. All told then, one could involve up to eight students in a single game. If one used a “train-the-trainers” approach, and first pre-played the game with 6-8 students, you could then run a larger number of subsequent games using these students (plus the course instructor) as facilitators for other groups. Are the rules too complicated? As I’ve noted before, one of the problems with commercial off-the-shelf wargames is that they are pitched to hobbyists, not to more normal folks. An inexperienced boardgamer could quickly get confused. Overall, I don’t think anyone found the game too complex to play. However, I was facilitating very actively throughout, and I don’t think it would have worked without me doing so. Now that they’ve played it once I think most of the group could—once they reread the rules—play it on their own, without any further assistance. Was the subject matter problematic? The post-9/11 “global war on terrorism” is a potentially sensitive thing. Elsewhere, some experienced gamers have expressed discomfort about gaming the subject matter of Labyrinth. In an educational setting it is important to remember that participants might have lost friends or family to political violence, or have them currently in harm’s way in the military or in war-affected countries. They may even have lived through these things themselves. Some aspects of the game might also be politically controversial. Consequently, it would be important to explain in advance what the educational purposes of the game might be in the classroom, and in some cases to give students the option of not participating and instead completing an alternative assignment. In this regard, my group of participants was rather atypical. They were all volunteers, and enthusiastic ones too. They were also a rather well-informed group: two of our group are writing their doctoral theses on the Middle East, one of these specializing in resource mobilization by non-state armed groups. More than one person in the room had been around a war zone. The undergraduates all had pretty strong backgrounds in Middle East politics, and all were or had been in my course on peace operations (which briefly covers counterinsurgency). One was a visiting Iranian scholar—after playing a US counterinsurgency official with such ruthless dedication, we’re not entirely sure he can go back now! It has to be said that Labyrinth takes on a particularly engaging tone when one of your jihadists is wearing her usual hijab and another is Jewish (but interviews Hamas members for a living), bilingual Arabic-English puns are being thrown about, and everyone asks if it is a good idea to let the one player who really is Shi’ite roll the dice for “War of Ideas” in (Shi’ite-intolerant) Saudi Arabia. We played a one deck game of the “Let’s Roll” scenario, which normally takes up to two hours to play. However, with initial orientation and rules instruction, pizza, and multiplayer teams it took almost four hours in our case. Since the point of the game was to use it to spark an educational discussion—not necessarily to play the optimum game length—a one deck game worked well. 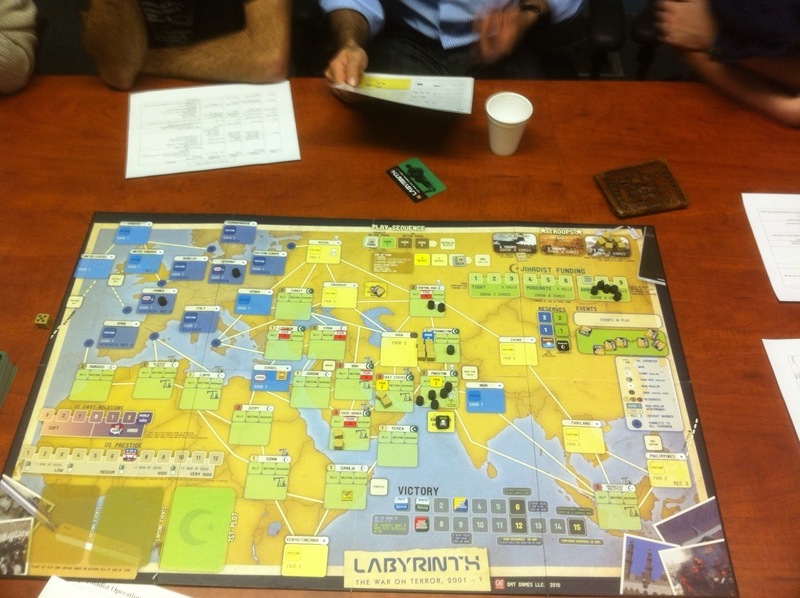 The game started with Afghanistan under Islamist control. The jihadist side recruited new cells there and moved them out to Pakistan and Central Asia before US troops arrived to overthrow the Taliban regime. Fortunately for the US, not only did the world seem to applaud intervention, but Washington seems to have discovered an Afghan version of Nelson Mandela to lead the new regime. The new pro-American regime tested at fair governance to start with. While this was an auspicious start to the Global War on Terror, it would be the last time a governance test would come out as anything but poor for the rest of the game—a trend that soon faced the US with a growing number of tottering Muslim countries. The jihadist side responded to US military move by dispersing their cells still further, using a Schengen Visa card to infiltrate two into Europe. Surprisingly, European foreign policies were overwhelming hard throughout the game, meaning the US rarely suffered a prestige penalty from being out of synch with global opinion. As American troops hunted down jihadist cells in Afghanistan, the number in Pakistan slowly started to grow, sheltering in the Federally Administered Tribal Areas. Assisted by UN Nation Building, the US would eventually get Afghanistan up to good governance—a veritable Switzerland of Central Asia. As they did so, however, terror plots were hatched in Pakistan, bringing it down to poor governance. In Saudi Arabia, the populist but often anti-American broadcasts of al-Jazeera had the effect of forcing the regime away from its previous US alliance. It was then that the jihadists struck, overthrowing the government of Pakistan and establishing an Islamist regime. The US—having just secured Afghanistan—quickly moved troops to overthrow the Islamists and install a pro-American government. As it did so, however, a number of jihadist cells once more slipped out ahead of American troops, and made their way to Europe and Canada courtesy of Clean Operatives. Equally important, three Pakistani nukes went missing. American prestige was still very high. However, the prospect of a WMD plot using the stolen Pakistani weapons would increasingly preoccupy Washington at a time when it also faced a growing crisis of poor governance in the Arab world and an active insurgency in Pakistan. On top of this, US elections brought a change in US posture to soft—in contrast to the harder line increasingly advocated by European allies. Twice the jihadists tried to use their stolen Pakistani warheads. A plot in Pakistan itself was uncovered and aborted. A second in the Gulf states was stopped too. The jihadist side decided to recruit and travel, hoping to test enough Muslim countries at poor governance to meet that victory condition. For a while, however, the closure of the Door of Ijtihad—and the philosophical limitations of Sunni Salafist thought—severely limited jihadist card play (and led to a brief but lively debate as to the relative merits of Sunni vs Shiite legal and political philosophy among the players). The jihadists attempted to secure a supply of Highly Enriched Uranium from ex-Soviet Central Asia, but failed. They did still have their one remaining Pakistani nuke, however, and this was successfully detonated outside an American military facility in Pakistan. US prestige plummeted to 1. At this point, the US very much needed to improve governance in Muslim countries—but with their prestige now so low, their efforts at War of Ideas were rarely successful. The last turns of the game amounted to a desperate effort by Washington to raise American prestige and to prevent the jihadist player bringing the total number of poor governance countries up to the number needed to win. Aided by Martyrdom Operations, more successful terror plots in Pakistan and France (the Eiffel Tower, so the jihadists claimed) assured that jihadist funding stayed high and US prestige stayed low. American Special Forces and Predator drones whittled down a few jihadist cells. Finally, and rather ironically, the conservatism of jihadist political theory tipped the balance as play of the other Door of Ijtihad card undid recent reform efforts in Turkey and pushed it back towards poor governance. With this the jihadist side emerged as the victors. Games are rarely self-teaching. Certainly, there might be particular pieces of factual information conveyed. In Labyrinth, this often takes place through the mechanism of the cards, and even more the fuller descriptions provided in the game materials. However, the real learning occurs when you use gameplay as a spark for discussion and as a source of teachable moments and vignettes. Here there are several different ways in which the game might be used. 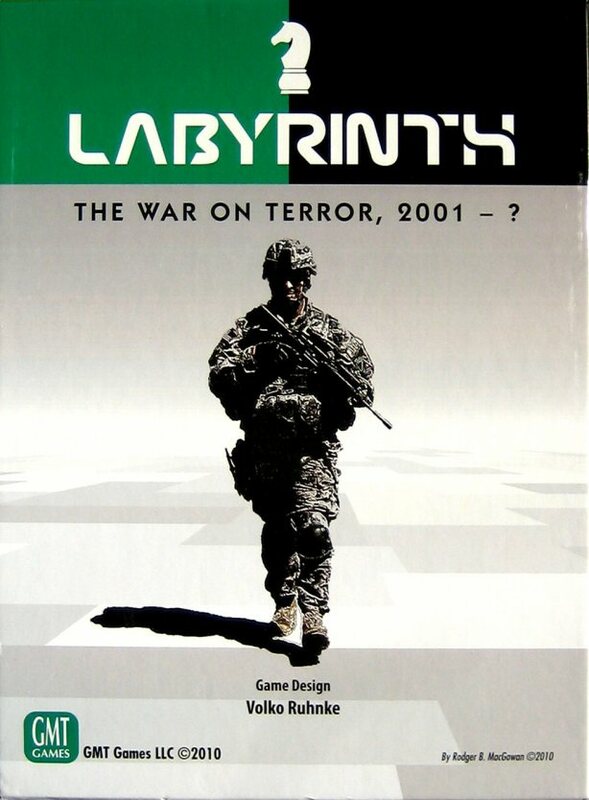 Labyrinth is, after all, a playable game designed for enjoyable game play, not an unwieldy simulation intended for high-fidelity rendering of complex social and political events. Students should be made absolutely clear on this all along. However, precisely because it is a game, the divergences between game play and real life provide ample opportunity to discuss the underlying issues involved. What has been the effect of satellite television and other information and communication technologies on politics in the Muslim world (an issue now being hotly debated in light of recent events in Tunisia)? What are the current dynamics of political power and competition in Pakistan? What efforts have terrorist groups made to acquire WMD, and what are the obstacles to them doing so? What are the challenges of building good governance in Afghanistan? These sorts of discussions, in turn, can easily lead into examination of broader issues as one starts to draw the parallels between game design and social science theorizing or political analysis. In both cases, the designer or analyst is trying to identify the key variables and relationships that shape outcomes. Both designers and social scientists need to decide what is important enough to focus on, and what other aspects need to be sidelined or ignored in the interests of parsimony and clarity. Certainly there are differences too: a game needs to be enjoyable (which is sadly not a criteria for social science theory), and social science ought to have explanatory or predictive accuracy (which is hardly a demand of, say, Monopoly, Risk, or Settlers of Catan). Discussion of how a game designer has chosen to model reality within the confines of the needs of a game can be a prod to encourage students to think about how they might model that same reality, either as a game or as an analytical construct. In Labyrinth there is much to discuss here, notably the relationship between poor governance and political violence, the instrumental uses of terrorism (to destabilize and advertise), and the costs and benefits of American unilateralism. Finally, there is the extent to which the game reflects issues of policy process and strategic choice. As in any game characterized by resource scarcity (in this case, the value and nature of operations cards held in one’s hand), players face trade-offs and opportunity costs. Indeed, in Labyrinth many of these are built into the game model. Heavy commitment of US troops, for example, reduces the size of one’s card draw in the game—therefore suggesting the heavy cost of military action in places like Afghanistan and Iraq. In every phase one is forced to choose between devoting scarce resources to short term actions (such as blocking terror plots or uncovering and disrupting cells) and those with longer term political and diplomatic effects (“War of Ideas”). Similarly, the jihadists need to balance recruitment, plotting, and the occasional risky effort to topple governments. As already noted, our game of Labyrinth was not followed by any extended debrief or subsequent lectures, since it was rather more a one-off experiment to try out multiplayer play with a newbie audience. However, as the comments above suggest, it is very easy to think of a great many things one could talk about arising from the game. It is certainly a far more interesting prod to discussion than a set of powerpoint slides. One could even more easily use Labyrinth as a part of a final assignment for students who have already spent the term learning in the classroom about the issues it addresses. In such a case one would assign the game much as one might assign a book review, asking students to play it through and then reflect on its portrayal of the GWOT. As I’ve noted before, this sort of “review the game” assignment can work very well. It isn’t necessary that the game perfectly model reality, precisely because those game process that are “unrealistic” become a key focus of critical analysis by students. As should be evident by the reflections, comments, and suggestions above, using a game in an instructional setting isn’t just about the game. Equally or more important still is how one embeds game play in the learning process and the ways in which it is linked to your educational objectives. How you prebrief, facilitate, and debrief the game is of fundamental importance. Done well, participants can learn a great deal. Done poorly, they may learn very little, or even learn the wrong things altogether. With appropriate attention to those critical issues, I think that Labyrinth offers many very interesting possibilities. I admit that it was complicated but not too difficult to understand. Although I was mixed up in the beginning rounds, I think I almost got the knack at the end; but of course it was too late to get it as a player of US team! It was a very nice experience though. And I confess that it wouldn’t be playable without your instruction! I am a student in the School of Advanced Military Studies at Ft. Leavenworth. Your write up is very helpful and I will recommend this game as a teaching tool for our design and our campaign plan courses. This seems a much more useful exercise than some other options. Very interesting read. I’m actually planning on trying this out with some high performing high schoolers towards the end of the upcoming year when we get to the Modern Middle East. 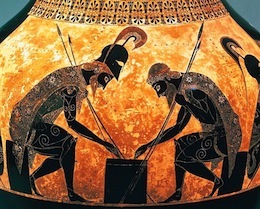 Teams of three work very well with Diplomacy, which I use in European History. Two player games do provide a real challenge, so I’m going to have to consider how to implement it. Anyway, excellent post and excellent site in general. You might also try running a matrix game–you can comfortably run it with 5-6 teams, it requires no student familiarity with the rules, and it provides lots of teachable moments. (Indeed, I know that Volko–who designed Labyrinth–is now using a matrix game with his students at the Sherman Kent School for Intelligence Analysis). I’m not familiar with the concept. Would you mind elaborating?